The Heine range of laryngoscopes are quality German engineered instruments. 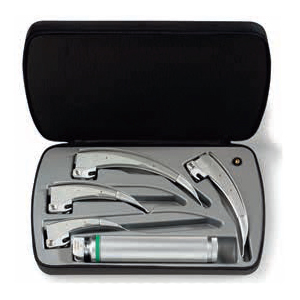 The Classic+ FO handle sets are designed with medical specialists in mind. With Classic+ there are no connecting screws to get lost, no external light pathways to get wrong and no tricky openings or crevices to get dirty – a major contribution to eliminating cross-infection. The Heine range of laryngoscopes are quality German engineered instruments. 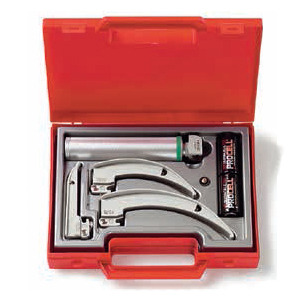 The FlexTip+ is a Macintosh Laryngoscope Blade with a tip which is adjustable through 70°. A lever controls the tip angle during intubation to lift the epiglottis, giving a clear view of the vocal cords. Contact with the upper row of teeth and unnecessary pressure on the tongue and soft tissue are avoided. The Heine range of laryngoscopes are quality German engineered instruments. The Modular+ F.O. Laryngoscope Blades: Both blade and light module are autoclavable and can be fitted or removed in seconds without a screwdriver. The improved geometry guarantees a clear, unobstructed view of the epiglottis and vocal cords. The distal lip of the blade features a special atraumatic shape. The Heine range of Laryngoscopes are quality German engineered instruments. The SANALON+ Reusable F.O. 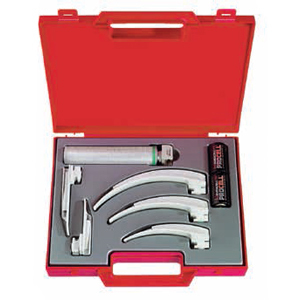 Emergency Laryngoscope Blades are designed to provide tremendous strength with low weight. Rounded edges significantly reduce the risk of injury. Blades do not “freeze” or stick to the tongue at low temperatures. The Heine range of Laryngoscopes are quality German engineered instruments. 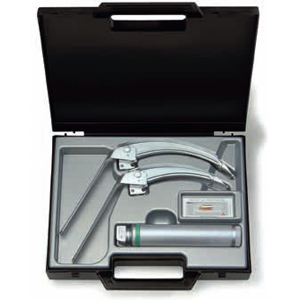 Specially-developed for emergency-use featuring the HEINE XP® Disposable Laryngoscope Blades. These sets are equipped with XP blades of the same anatomically-correct shape as the Classic+ blade, the world’s best-selling F.O. blade with integrated fiber optic bundle. 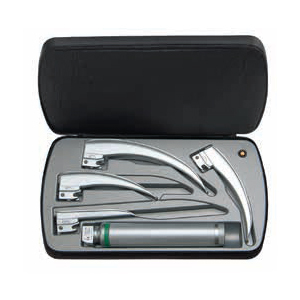 The HEINE XP Emergency Laryngoscope Set is complete with the 5 most frequently used blade types and sizes for infants and adults. Instantly-ready for use with F.O. SP Handle and replaceable batteries.